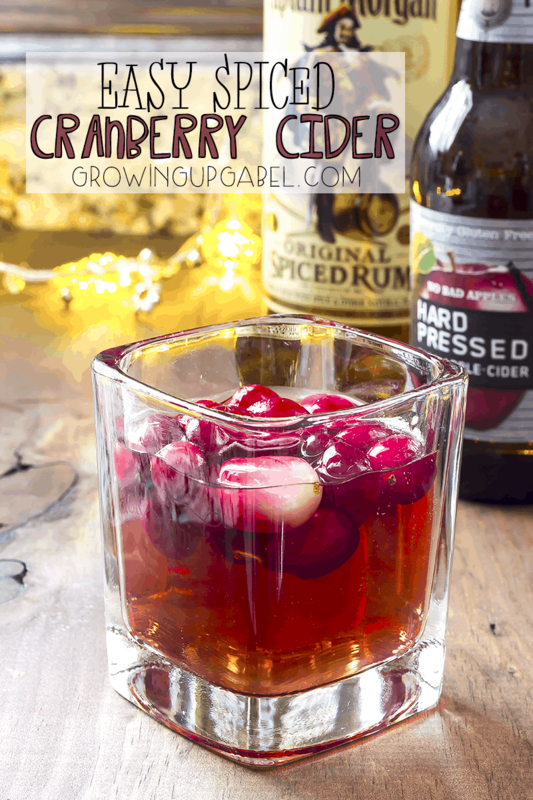 This easy spiced cranberry cider cocktail recipe uses only three ingredients and is perfect for your holiday parties! Over Thanksgiving, my sister-in-law visited and she introduced us to this awesome new drink. 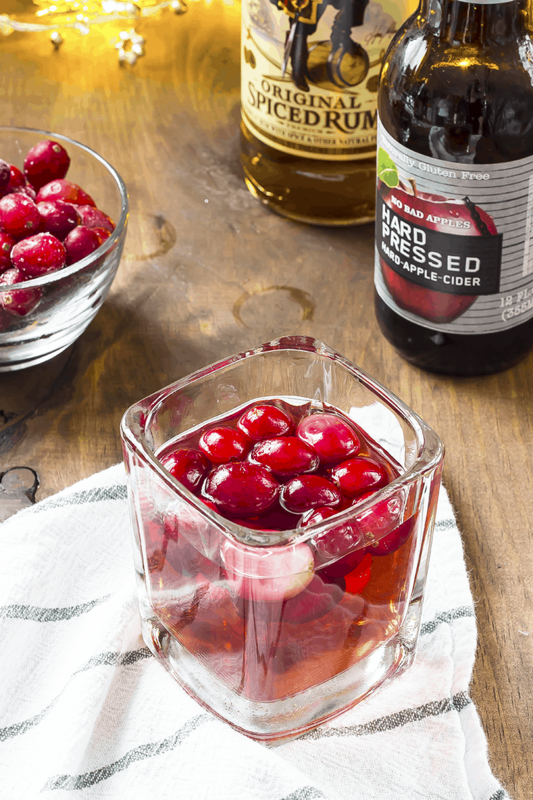 Just three simple ingredients: spiced rum, cranberry juice, and hard apple cider. For the cider, any brand will work for this, but I definitely prefer Strongbow or Woodchuck. In fact, I'm dying to try Strongbow's Cherry Blossom hard cider in this. But for the sake of today's recipe, I used a hard apple cider from Hard Pressed. I'd never had it before this and it was fine. 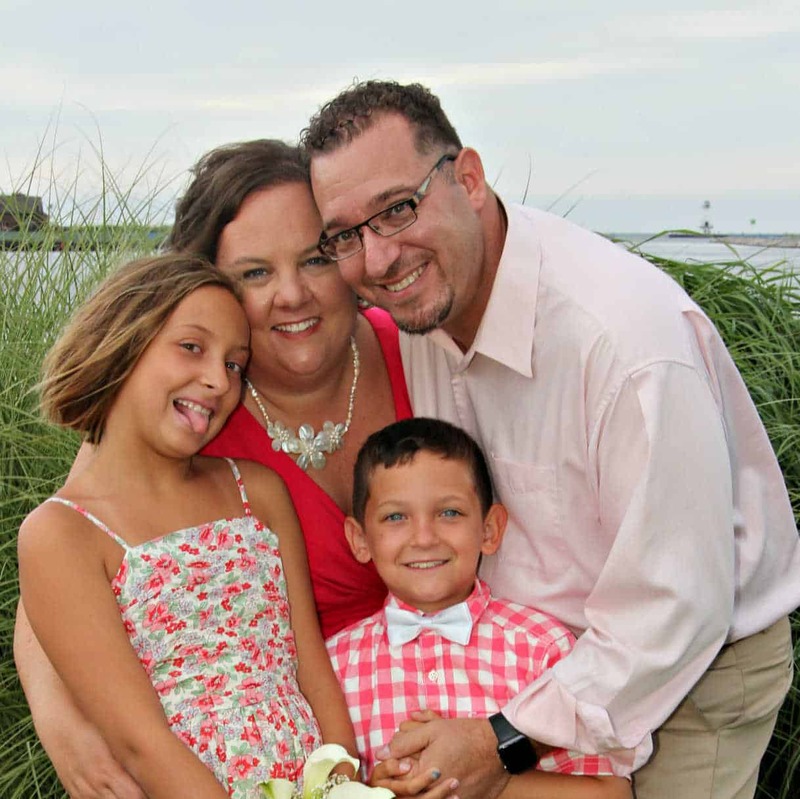 For the rum, I used Captain Morgan, though my sister-in-law usually prefers Sailor Jerry. As long as it's spiced rum, any brand will do. Combine all ingredients in a glass with ice. Stir to combine. If you have cocktail straws, one of my new favorite things to do with recipes like this (which I did with the orange cranberry margaritas, too) is use frozen cranberries as ice. Your drink gets cold, but not watered down. So if you're looking for a variety of drinks for your holiday parties, add this one to the list. Anything that's easy to fix for people, or for people to make on their own, is definitely a must-have. Need more holiday drinks? 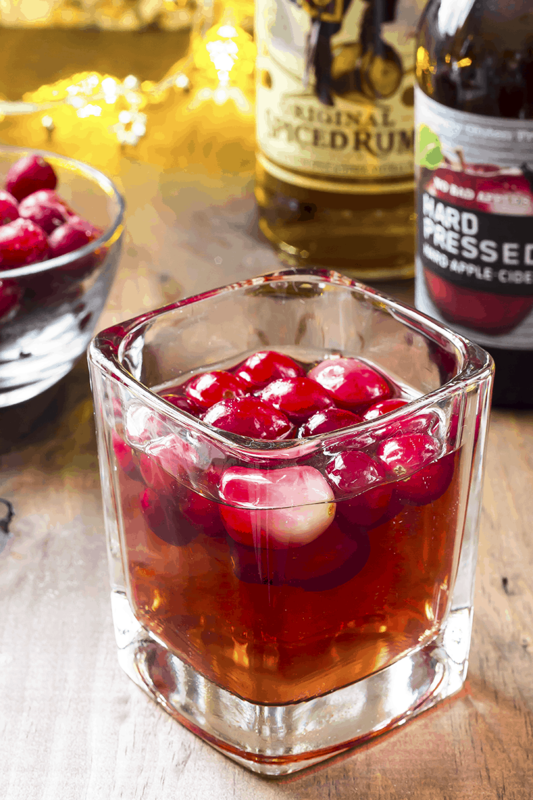 Try my 3 ingredient pear martini, caramel apple cocktail (perfect served warm or cold), apple cider bourbon whiskey cocktail (great for just leaving the ingredients on the table for guests to mix on their own), slow cooker mulled wine (a holiday classic), or peppermint chocolate martini.